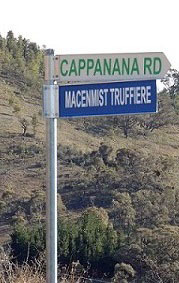 A few years ago after much toing and froing Council erected a road sign indicating the direction and existence of our truffle farm on Cappanana Road. This greatly assisted our visitors in finding the property. It is now June 2017 and it appears that a road sign collector has taken a fancy to our blue sign as it is no longer on the post. In fact the bracket and the sign have both disappeared. So yesterday I visited the Cooma Council office and spoke to a gentleman about the missing sign. 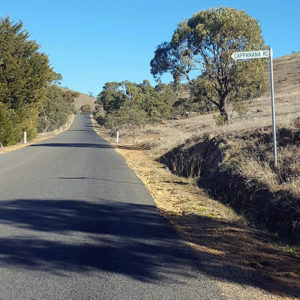 He said he would pass the message on to the road division of the SnowyMonaro Council. The next day I rang the Council office to make sure that they had the matter in hand and that the message was not just sitting on a desk in-tray. Reception transferred my call and the person on the end of the phone said that the message was received. I asked how long it would take to have the sign put back up only to find out that we are back to the toing and froing of 2014. We need to get a quote done first because they do not know how much it will cost, then we have to accept the quote, No doubt then we will need to wait for an account to be processed then the bill paid before the sign will be ordered let alone erected. 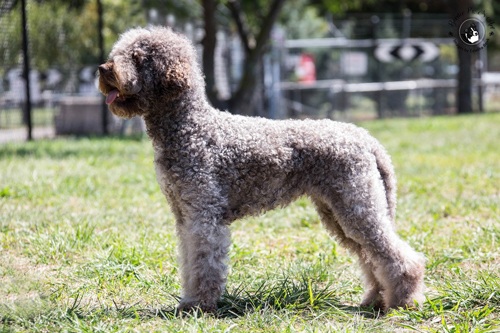 Lets hope that it will be before the end of the truffle season in early September. Oh yes …. it appears that the Council can use tamper-proof bolts so I asked them to do so. At which point I was informed that the result usually meant that the sign would be subjected to vandalism. Guess we just need to take the risk.